Since email is a critical function for most enterprises, you need to be able to recover email messages in case of data loss or user error. Whether you need your archived data for regulatory compliance, litigation or simply for productivity purposes, you have to be able to retrieve it quickly. 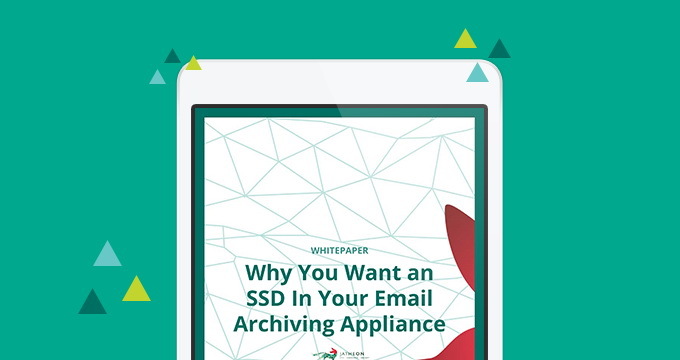 You want your archiving appliance to be fast and powerful, which is why you should look for an appliance with an SSD (solid-state drive), a fast and durable storage device that will make your appliance run fast and ensure a high data reading speed. The reasons for choosing an archiving appliance with an SSD.